Adulting 101: Should You Make an Appointment with an Orthodontist? Just like the medical industry, dentistry is a vast field. You can meet a dentist, orthodontist, or even a maxillofacial surgeon. A dentist is often considered the general physician of oral health, while the maxillofacial surgeon is the doctor that performs surgeries related to tooth and gum diseases. An orthodontist is a doctor who specializes in treating crooked teeth and bite issues with the help of tools and devices. The treatment not only gives a straighter smile, but also help in distributing bite pressure among the teeth, gums, and jaw points. Orthodontic treatment is needed when a person has misaligned teeth, such as a large gap or crowded teeth. Sometimes these issues can affect your confidence, but in some cases, misaligned teeth can cause mouth discomfort. These issues are the root reasons of having poor oral health. Sometimes, these issues lead to deprived oral hygiene. An orthodontist helps to solve these issues by treating it with the required cure. Every dental case can be different from others so it is recommended to get the treatment from a specialist that has more qualifications and training than a dentist. What Steps Are Performed During the Procedure? The procedure starts with the complete examination of the teeth of the patient. Taking dental x-rays and making a plaster model of the teeth can be a part of the treatment and then the orthodontist will recommend the treatment. Maybe, the patient has crowded teeth that means the number of teeth on a place is higher than usual, and there is no room for the teeth to be adjusted, in this case, a tooth or teeth can be removed. How Does Treatment Carry Out? The treatment carried by some tools and appliances to remove adjust and support the teeth. Braces are the most common appliance for crooked teeth. Braces are sometimes only used for bite issues, but they are usually applied for straightening your teeth. 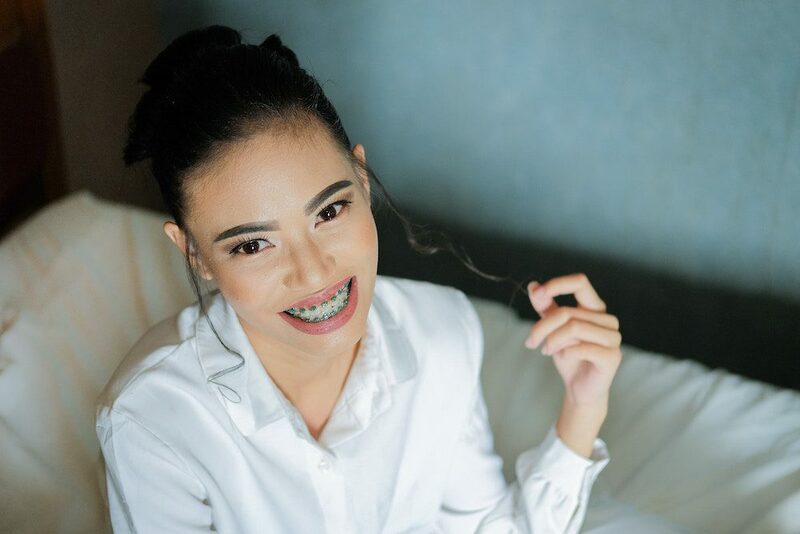 Braces are the device to control and manage tooth alignment; they are usually made up of metal having brackets and wires, and some are made up of plastic. Removable Braces: They are often used for simple treatments. Removable braces treat the teeth with minimal pressure. Fixed Braces: They stuck in the teeth through brackets. The flexible brackets attached to the wires allow teeth to move and adjust easily. Functional Braces: These braces help in changing the growth of jaws. They work by using the power of muscles. Invisalign: These braces are made up of plastic. They need some extra attentiveness while handling but they are not very noticeable since they cannot be seen, especially from a distance. Invisalign is a great option for those shy about traditional metal braces as an adult. If you’re a person who doesn’t smile often due to your crooked teeth, or you have a lack of confidence due to having poor hygiene then seeing an orthodontist would be a great idea! You would be surprised by the amount of adults that have chosen to better their smile over the years. Many of these people actually had braces when they were younger, but slacked on wearing their retainer in both high school in college. That’s another catch. If you get a form of braces, you will most likely have to wear some sort of retainer to keep them straight. Unfortunately, teeth like to move. I had something similar to Invisalign, and if I skip wearing my night retainer for even 2-3 days in a row, I feel the tightness of them return. My teeth definitely start to shift back almost immediately. Do you have braces? Let us know in the comments below!